Cowboy hat helmets seem to be the one thing that will finally get the cowboy to wear a helmet for protection. There is a longstanding tradition with western riders that you wear a cowboy hat, not a cowboy hat helmet. Helmets are for English riders not Western riders. But in the world today, where more medical research has been done on the effects of concussions on the long term health of concussion victims. That is in some ways you do not need to be a brilliant medical student to understand just how important it is to protect yourself against brain damage by wearing a western hat helmet. So your reasons for wearing are very apparent, plus today physicians and safety hat engineers have met the needs of the western rider. They have designed some very attractive western cowboy hat safety helmets. From a distance it appears the cowboy or the western rider is wearing the normal cowboy hat but up closer you are able to see that it is a cowboy hat helmet. So take away from the western rider the fact that the headwear is a cowboy hat, a safety helmet and will protect him or her from any serious brain damage, then it should be a large yes to wearing one. You can check out the history, the pictures, and interview all of the participants. Western Riders wear cowboy hats not helmets. You can talk safety til you are blue in the face, and most cowboys will NOT wear a safety helmet. Some of the riders just aren’t really sold on the look of the new western riding helmet cowboy hats. They just aren’t the same as wearing that favorite cowboy hat. Some riders just aren’t comfortable with the fit of the hat helmet combo that is presented as a cowboy hat helmet. 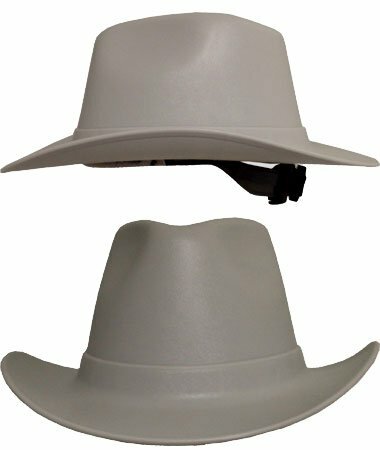 Why do we promote the Occunomix Vulcan cowboy-style hat, is that it is very unique in the western wear market today? Another large reason against was the long term riders weren’t comfortable with the increased weight on their heads and often talked about how much warmer the head got while wearing. First the trend toward wearing a safety helmet for cowboys is actually trending upwards. Safety helmet companies that are big in western riding safety hats all report increased sales. Attendees of riding events are reportedly seeing more and younger riders wearing safety headgear. The biggest reason here is that younger parents who have raised these younger riders have been aware of head injuries namely concussions and how easily they occur. They wanted their young Johnny or Elizabeth to be protected as they grew up and learned to ride. It is natural for them to be wearing a helmet type structure on their head and they are used to the heat generated and the tiny bit of weight added to the headwear. 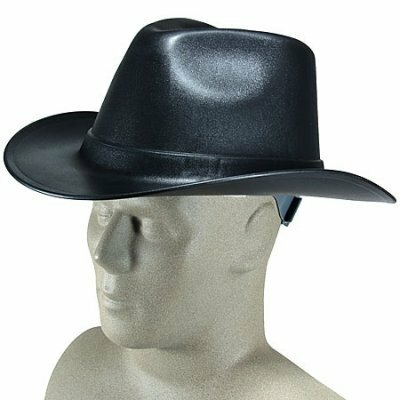 Many have said they cowboy hat is cooler, it breathes easily, vents well. 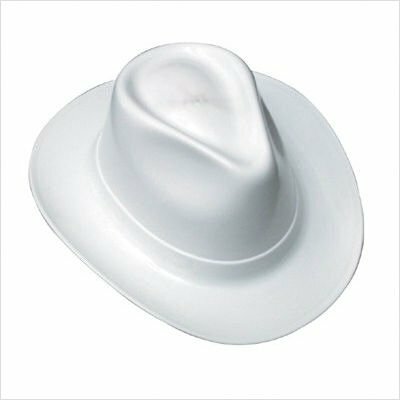 The latest safety helmets are in good competition for matching the older type cowboy hats for venting and cooling comfort. 6-point deluxe nylon squeeze-lock suspension. I go into detail on the Troxel Cheyenne Rowdy Riding Helmet. I discuss in a detailed review of why this Troxel riding helmet is a great choice for a safe riding helmet. Buying a Resistol cowboy hat is a smart decision. We list out 5 Top Reasons You Will Love Your a Resistol cowboy hat. Cowboy hat helmets need to be worn by all riders. that is just my opinion, but it is based on research of the facts and dangers of western riding. See what the dangers are for you a western rider.